I'm working on some Christmas projects today. 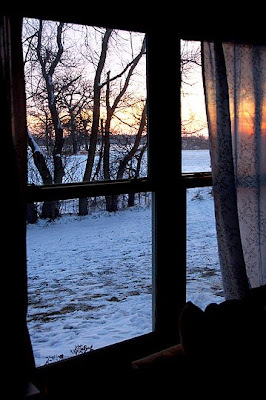 It is chilly outside, but it snowed for the first time this winter a couple of days ago and I've been cuddling up on my couch working on paintings and final projects. I'm almost done with everything for this semester. All that is left is some grading of student work, some documenting of my own work, and a couple of critiques. So today I can indulge in a few distractions. 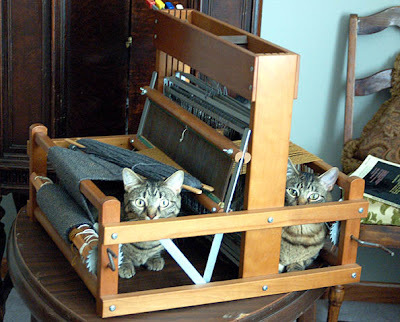 Here are the 'kittens' helping me with my weaving. Here is my view. It is one of the best things about living in our apartments (along with being able to have cats, gardens, and the large kitchen). I also found this little cute owly. I think it is a candle holder (it has a space in the back for a tealight) but for now he resides on my secretary desk, bringing cheer to my work space. I also made some woven coasters from the excess warp yarn from a scarf I was making. They match the colors in our apartment which is mostly greys and yellows. After I took the pictures, I decided to felt them, and now they look more even and less wonky. What nice, helpful kitties you have! And those boots are fabbo, great find. 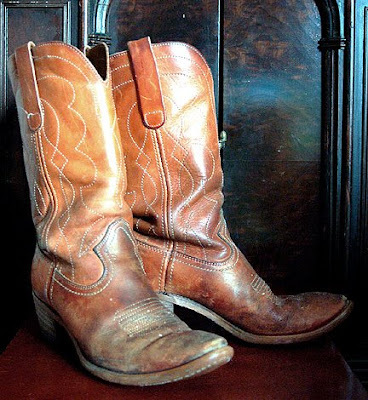 second hand cowboy boots are the only way to go! I got a pair the same way, and they fit so great, it was like they were made just for me. And that top photo of your kitties is too cute! It's like an LOL cat photo waiting to happen. Oooo nice boots! I love thrifting but I can never find anything that good. 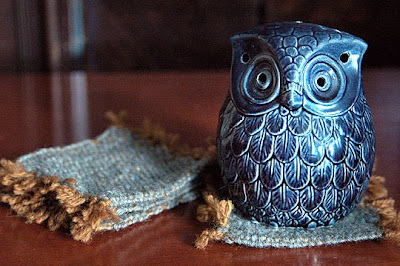 The little owl is precious too.